In the Rotonde de Cartier Astrotourbillon presented at SIHH in 2015, it was the tourbillon balance that rotated around the dial once a minute. In the Rotonde de Cartier Astromystérieux, the escapement, balance-wheel, gear train and barrel are linked to the minute hand and so progress around the dial once every hour. 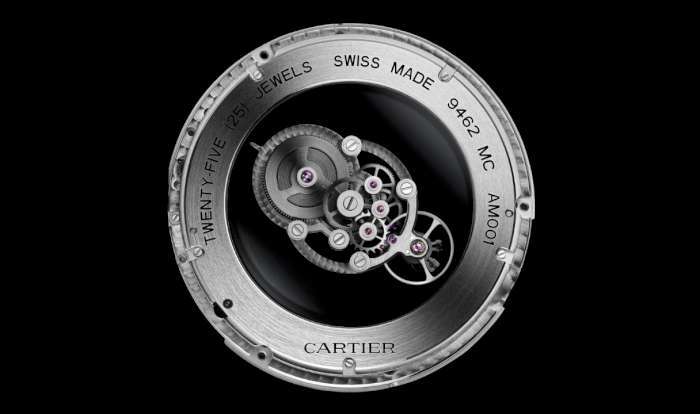 It was developed by Cartier’s research and development team led by Carole Forestier. While the “mystery” of mystery clocks and watches is no longer such a mystery, this piece goes much further than the usual mystery timepieces in which just the hands seemingly float in space. 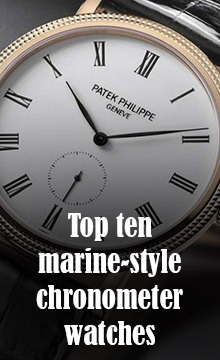 As the mainspring barrel is also part of the central movement, how do you wind the watch? And how do you set the time? As for the Astrotourbillon, Cartier say that the Astromystérieux can be considered a tourbillon, because the cage for the balance wheel is constantly, albeit slowly, changing its spatial orientation. The cage comprises a sapphire disc running right across the dial space, with two other sapphire bridges, one for the balance-wheel, and one for the escapement, gear train and barrel. The entire cage rotates with the minute hand, and so the watch can be considered as a one-hour tourbillon, like the Ulysse Nardin Freak. Another sapphire disc, which meshes with the minutes disc, drives the hour hand. 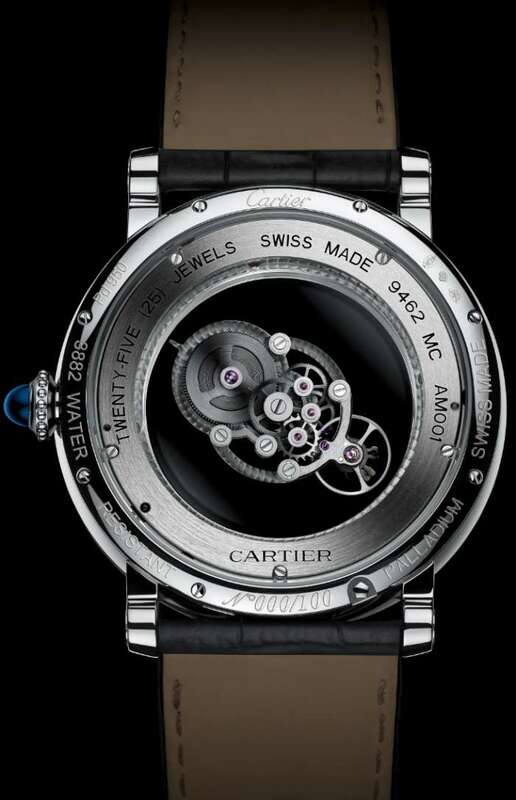 The transparent discs are effectively part of the gear train, and Cartier developed special shock-absorbing systems to protect this part of the movement. A third sapphire disc is connected to the crown in order to wind the watch. A patent has been registered for this part of the movement. 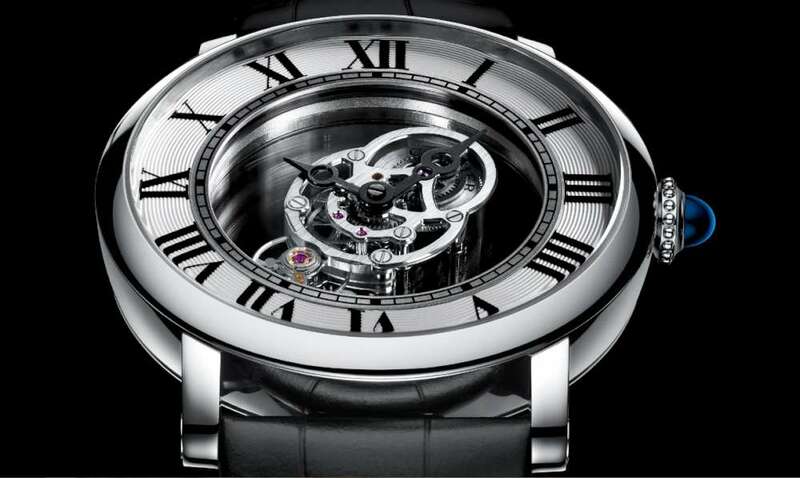 The winding shaft is disconnected to the sapphire winding disc, and it is only when you start rotating the crown that a floating pinion moves into a position in which it can connect with the disc. When you stop winding, the pinion automatically disconnects. 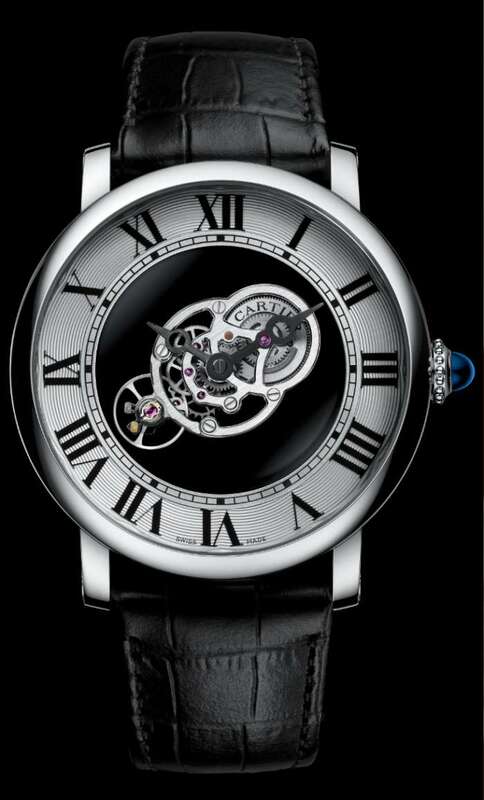 The fourth disc, closest to the caseback, has a dual role. When the watch is running, it remains in a static positon, against which the movement provides the rotational force to drive the balance cage. 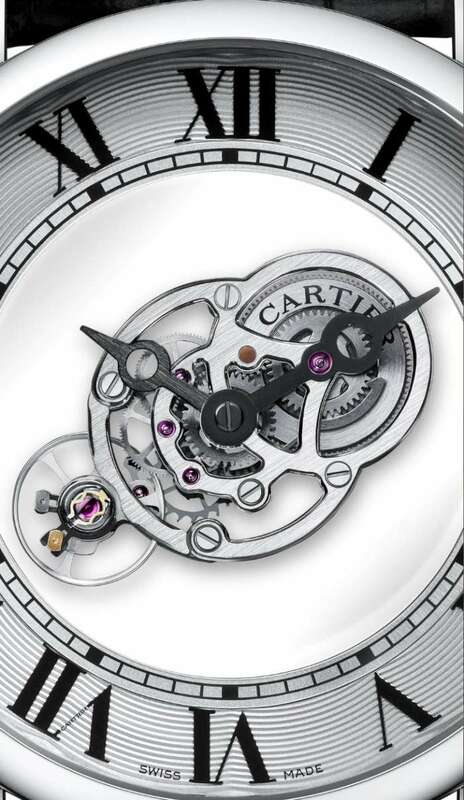 When the crown is pulled out to the time-setting position, a specially-designed lever frees the fourth disc and also the rotating cage bearing the minutes wheel. This makes it possible to set the time. Patents have been filed for both the time-setting mechanism and the lever. 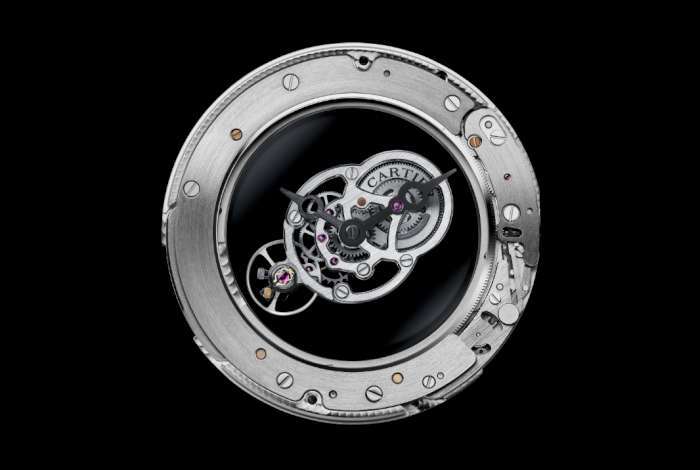 The movement is named calibre 9462 MC, and it comprises 408 components, though 188 of these are bearing balls. The balance runs at 21,600 vibrations per hour, and power reserve is 50 hours. The Rotonde de Cartier Astromystérieux has a 43.5mm case in palladium, with a total thickness of 12 mm, water resistance 3 bar (30 metres). The crown is set with the blue sapphire cabochon that hallmarks many Cartier watches. The strap is in black alligator, with a double adjustable folding clasp in white gold. The Rotonde de Cartier Astromystérieux, reference W1556249, calibre 9462 MC, is a limited edition of 100 pieces, price €145,000, $181,000. A version set with baguette-cut diamonds is also available.